Prioritize tasks to clearly plan what to do next. 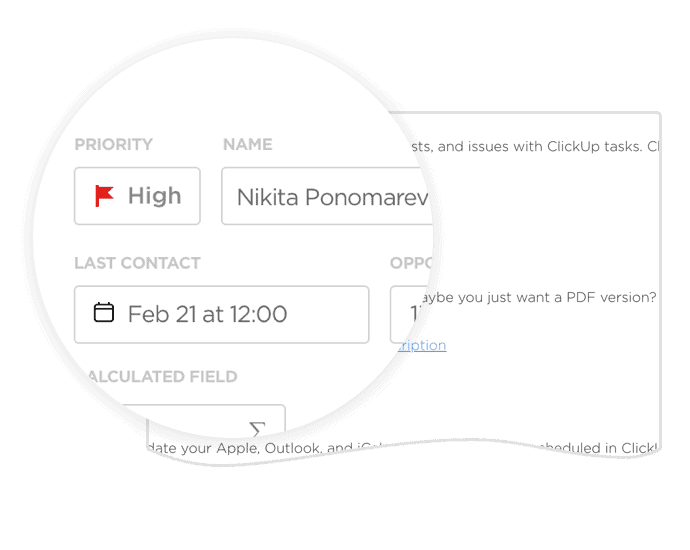 ClickUp's priorities are super simple - just 4 flags to choose from so everyone on your team knows exactly what to do and when. In ClickUp, there are 4 priority flags. This keeps consistency across all tasks. 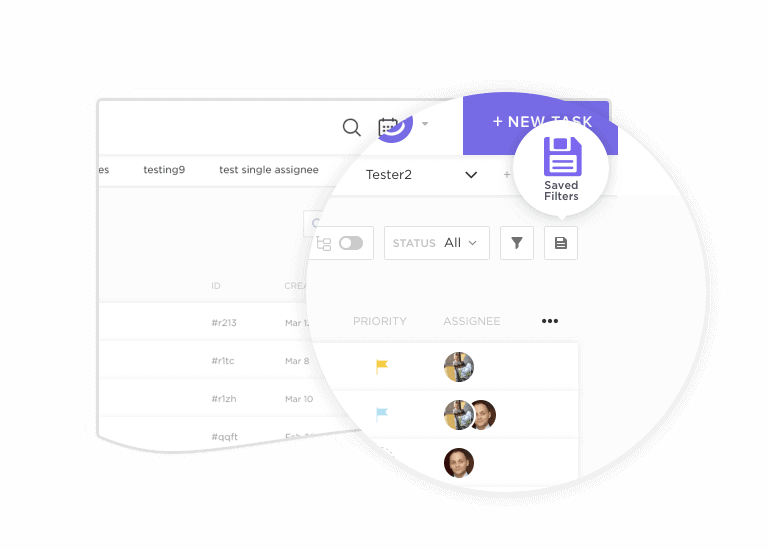 View tasks in order of priority, or cut out the clutter and see one type. If you need additional priority options, use a custom field dropdown to create your own priorities. Do it at your convenience. Do it after you've done everything else. 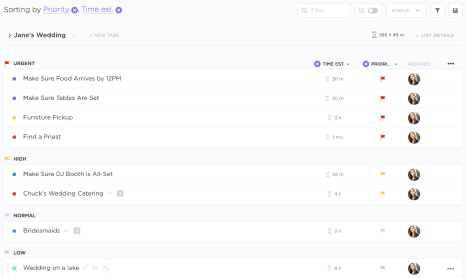 Sort your tasks by priority and then by time estimate to see the most important and imminent tasks in your workflow. 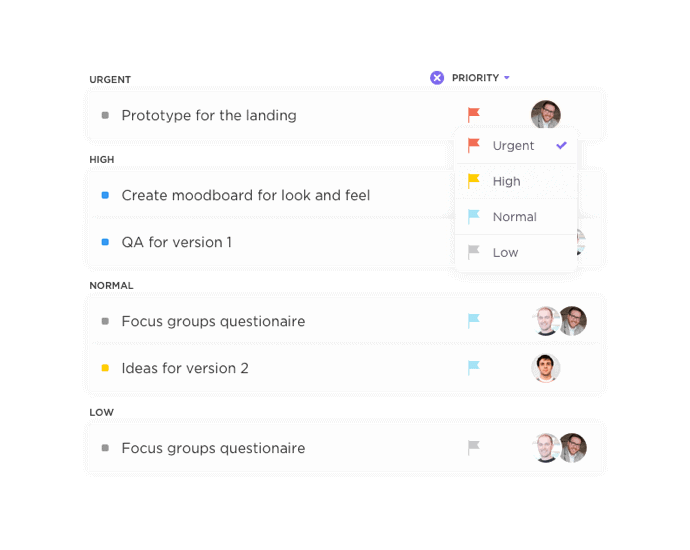 Drop your high priority items into your task tray so they’re always in view when you need them. It’s the perfect way to plan your day! Determine which tasks are “waiting on” or “blocking” others with dependencies. Then use priorities to determine the tasks’ levels of urgency. Set filters for due dates or priorities and then save the filter! Use it for personal reference or even share it with your team! How many other tools can do this? This helps everyone see what to do next.